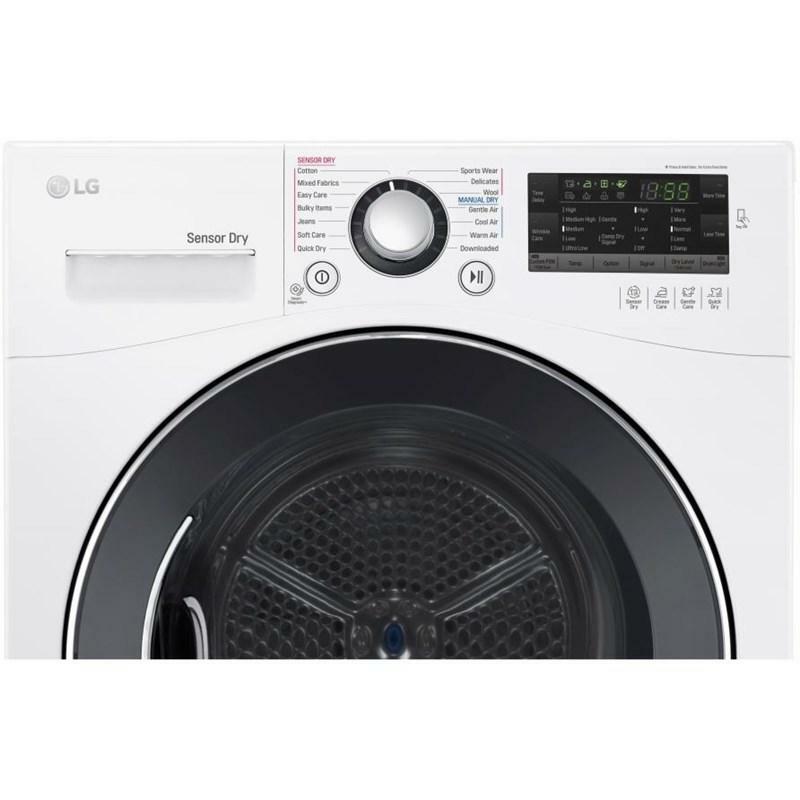 This 24" LG electric dryer features 14 dry cycles with 5 temperature settings and the NFC Tag-On technology. It also boasts the SmartDiagnosis™ with the NeveRust™ stainless steel drum and a sensor dry in white. 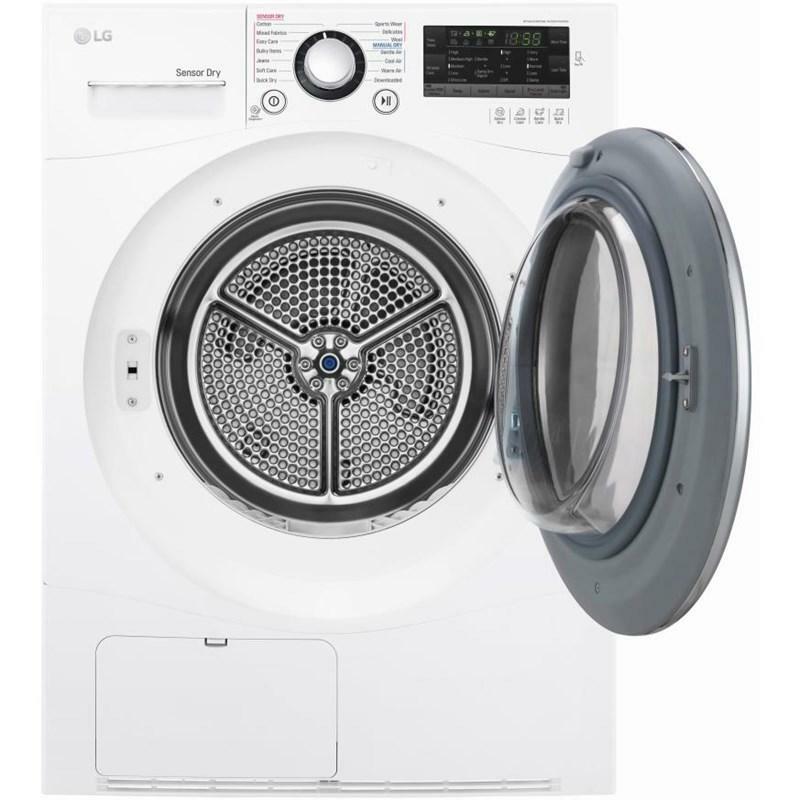 If you ever experience an issue with your Lg dryer, you have to worry. The SmartDiagnosis™ feature helps the service center diagnose problems over the phone, or with a simple app on your smart phone, helping you minimize costly, inconvenient service calls. 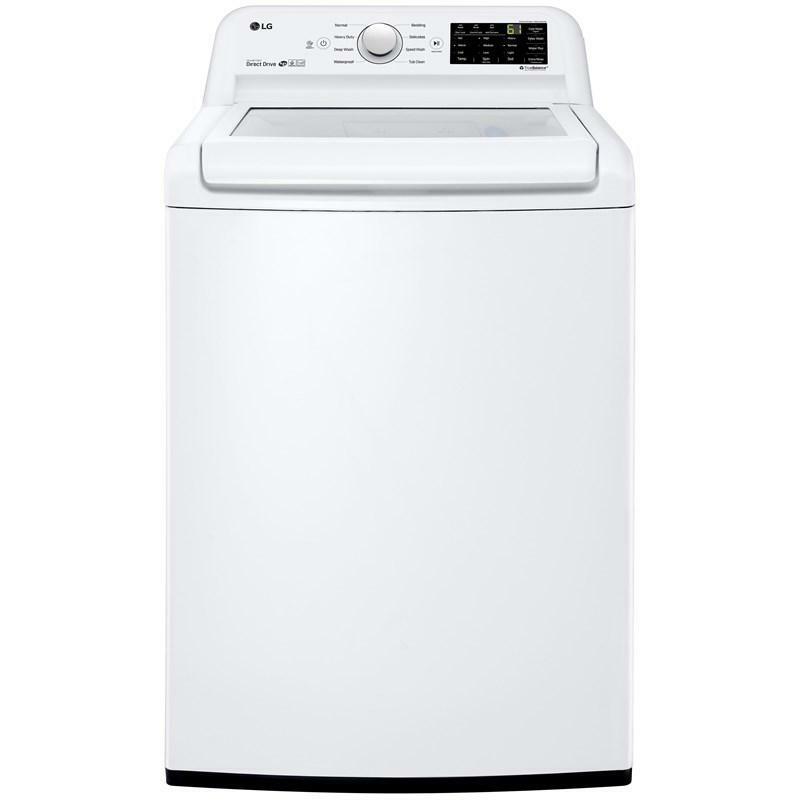 Let us take the guesswork out of doing the laundry. 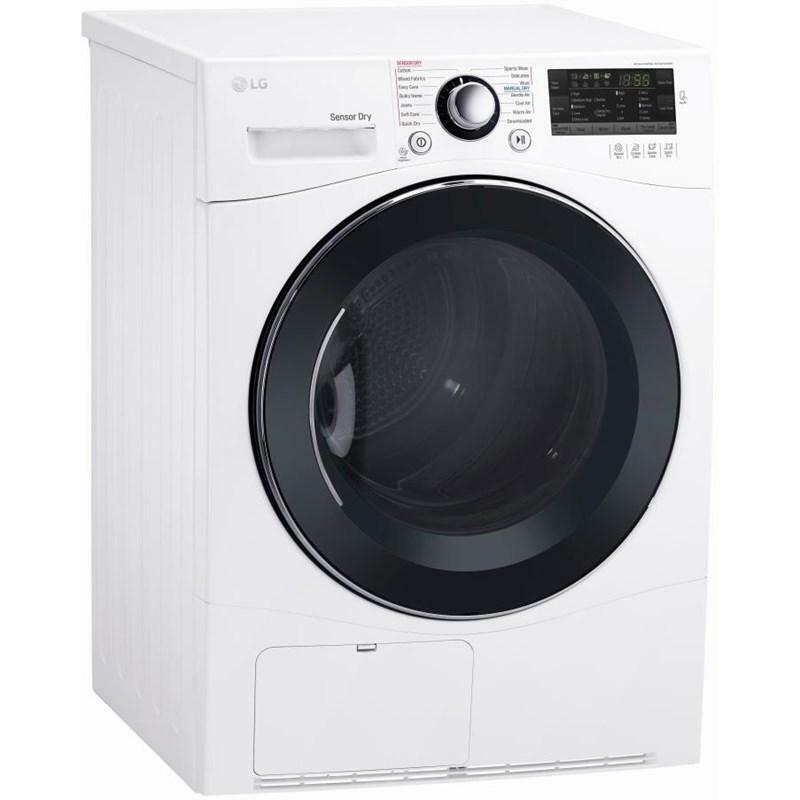 The intuitiveIntelligent Electronic Control Panel with Dual LED Display and Dial-A-Cycle makes it easy to find the right setting every time. Capacity 4.2 cu. ft. / 0.12 cu. 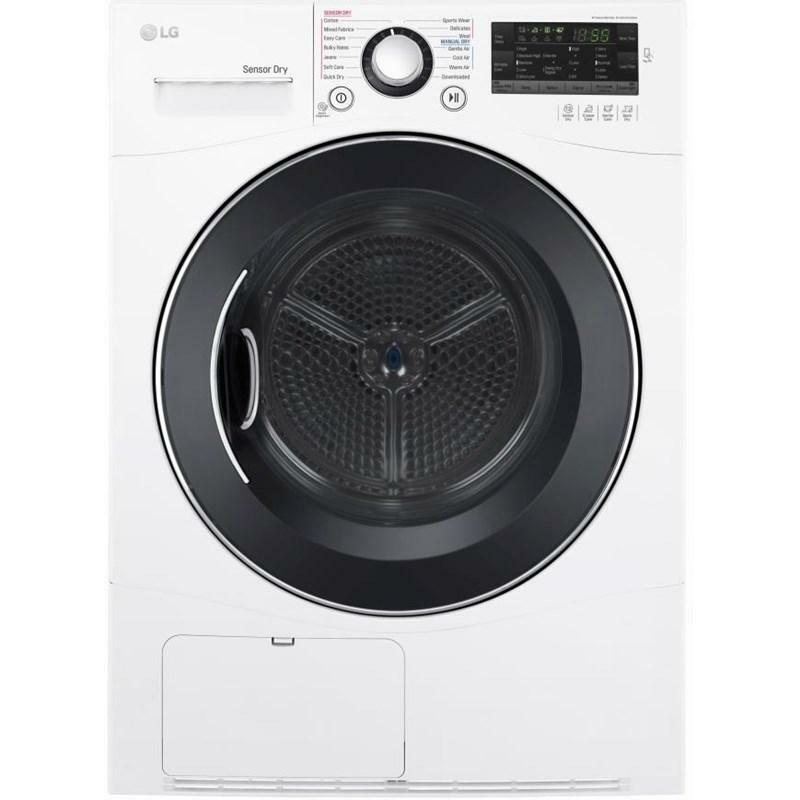 m.
LG 27-inch top load washer features 6Motion™ technology, NeveRust™ stainless steel drum, 8 wash programs, 10 options and TrueBalance™ anti-vibration system.